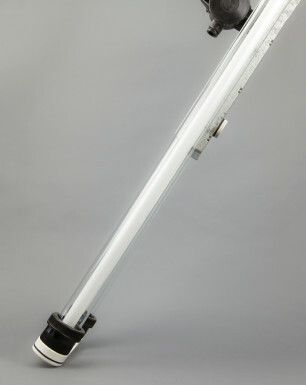 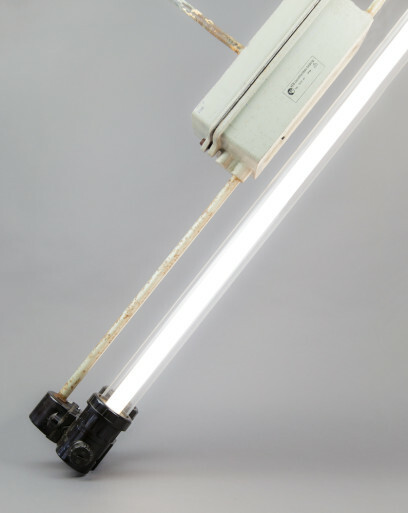 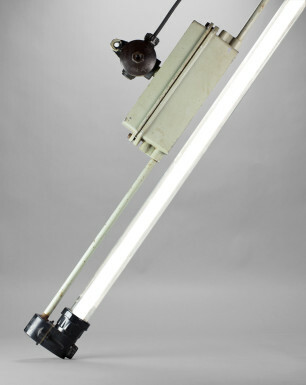 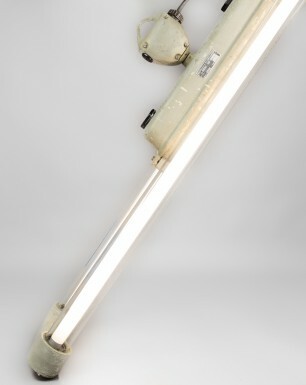 This unusual fluorescent fixture is the twin-variant of the Unicorn. 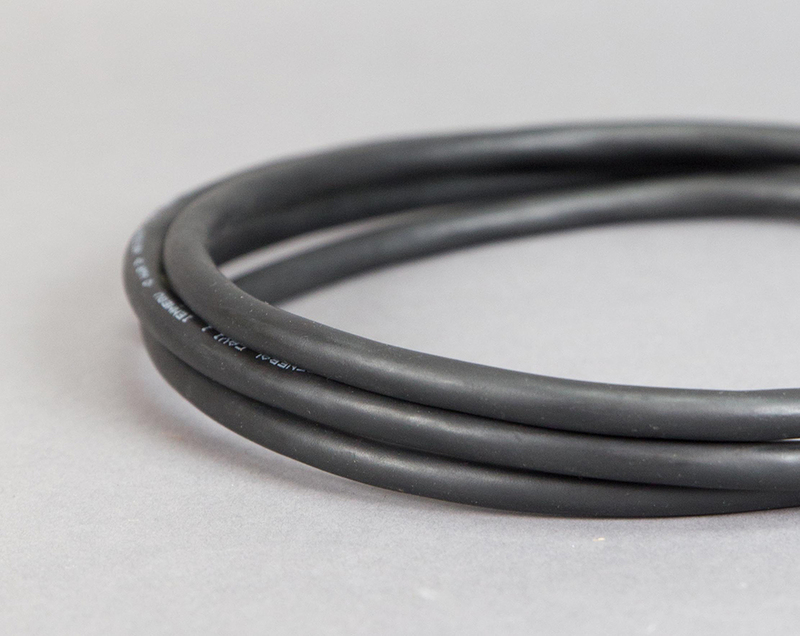 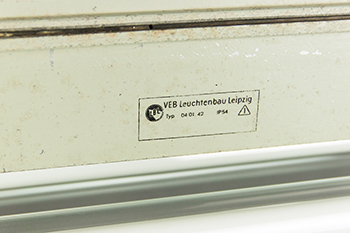 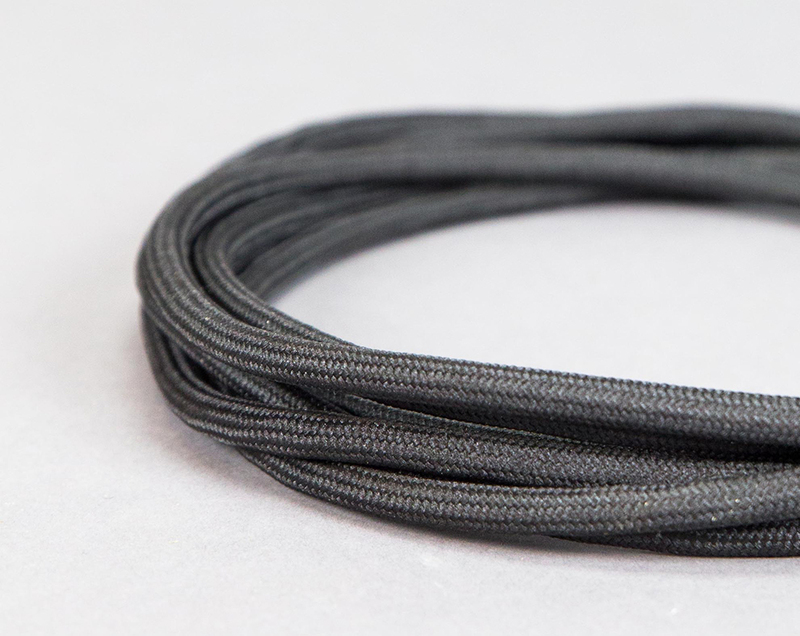 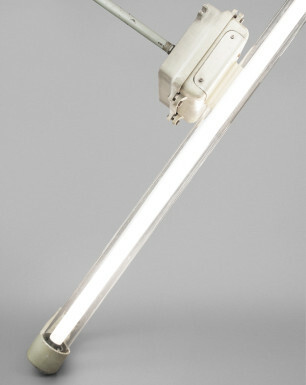 It was manufactured by VEB Leuchtenbau Leipzig around the 1960s, and is distinguished by a rather robust design. 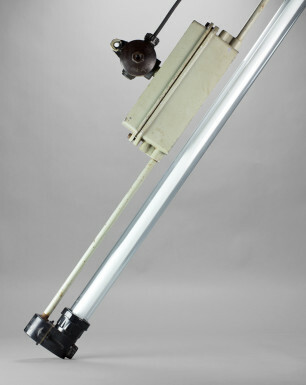 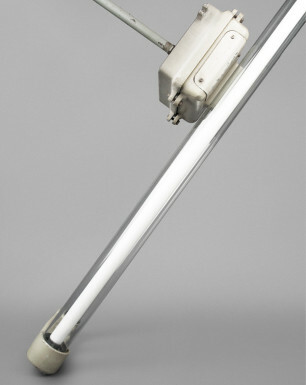 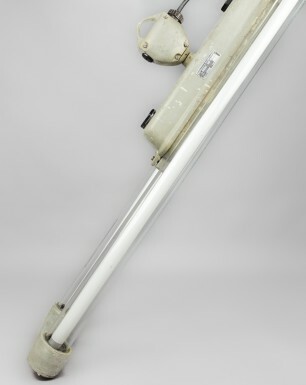 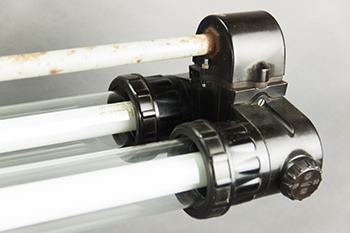 The lamp comprises a large cast-aluminium housing with a horizontal bar connecting the bakelite ends, and holding the glass tubes. 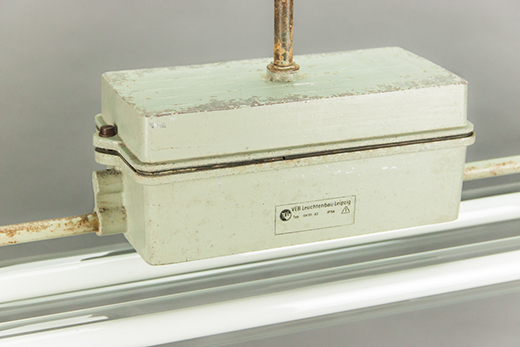 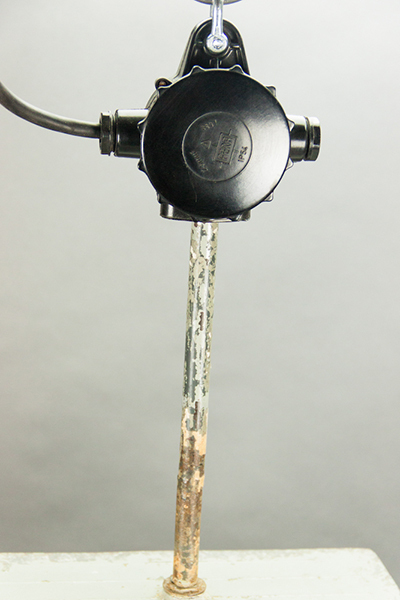 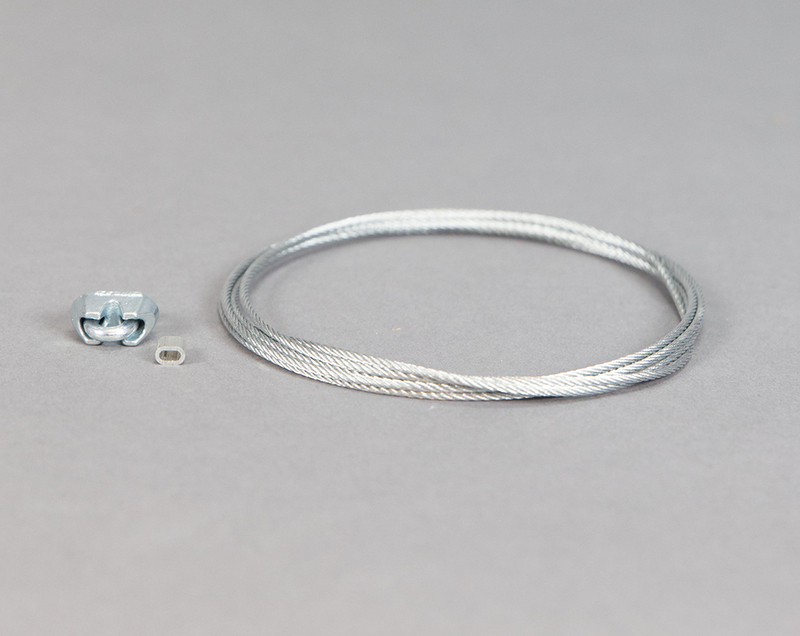 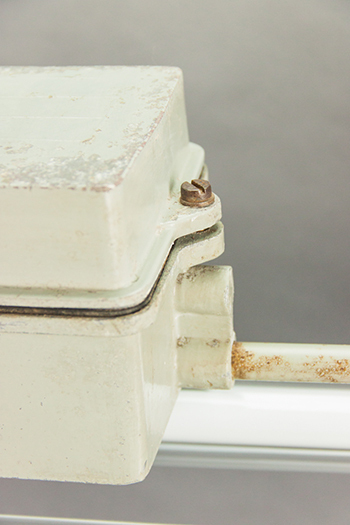 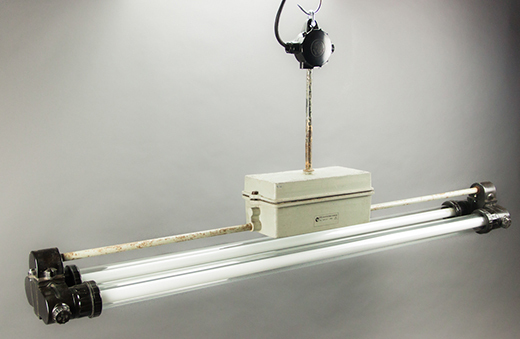 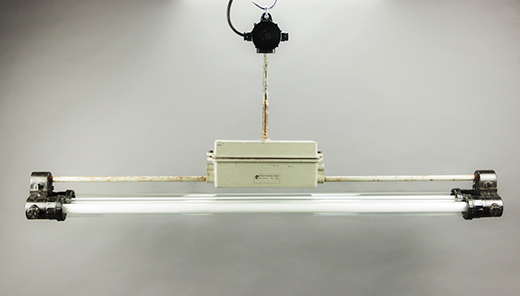 These fixtures were salvaged from one of the largest laboratories in East Germany. 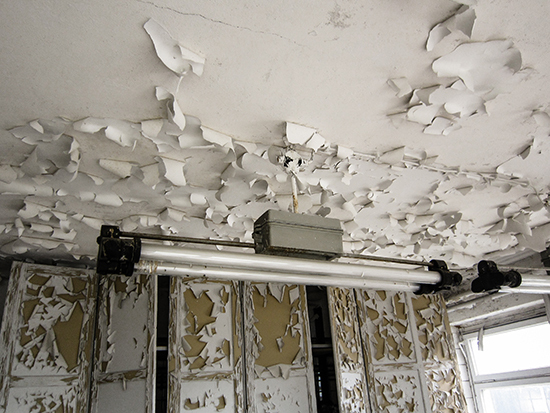 After WWII this lab was part of the soviet military administration, and became a state-owned company until the reunification in the early nineties. 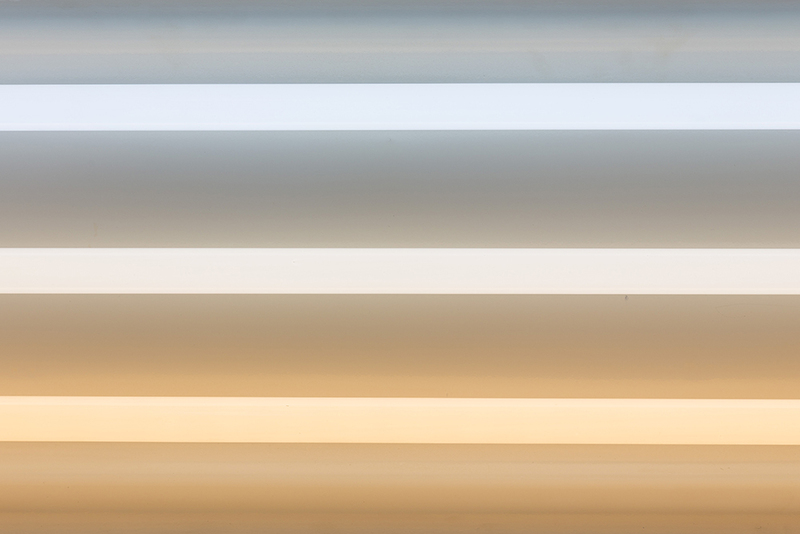 On the complex the Doubled Unicorns illuminated one of the many chemical labs.